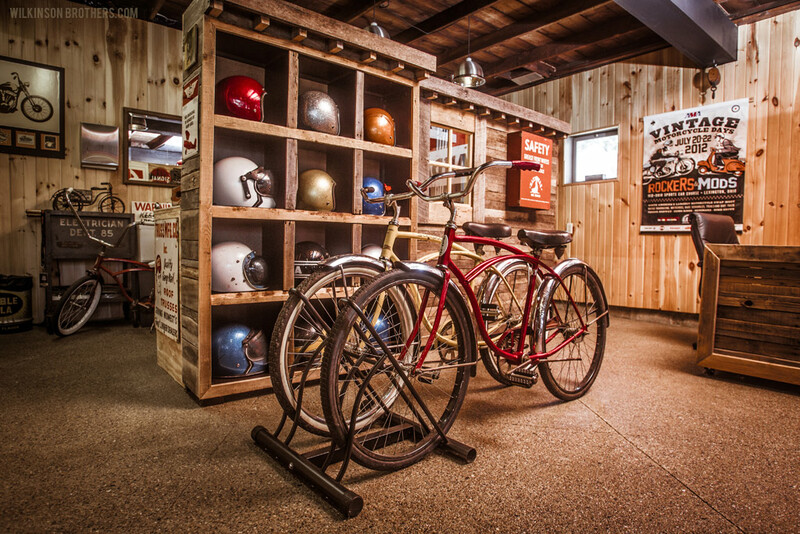 The 1950s gas pump and its thematic patina fits right into the shop’s Americana-laced decor. 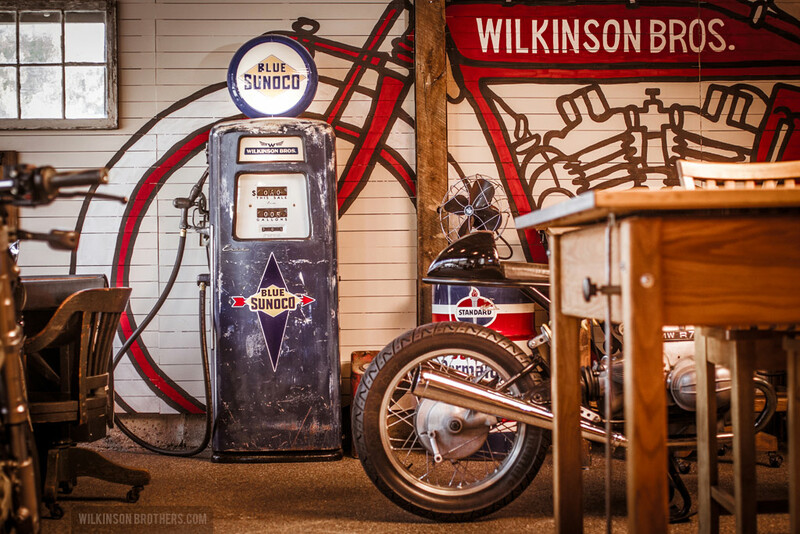 You’ll find a sprinkling of Americana in the Wilkinson Brothers Graphic Design Shop. 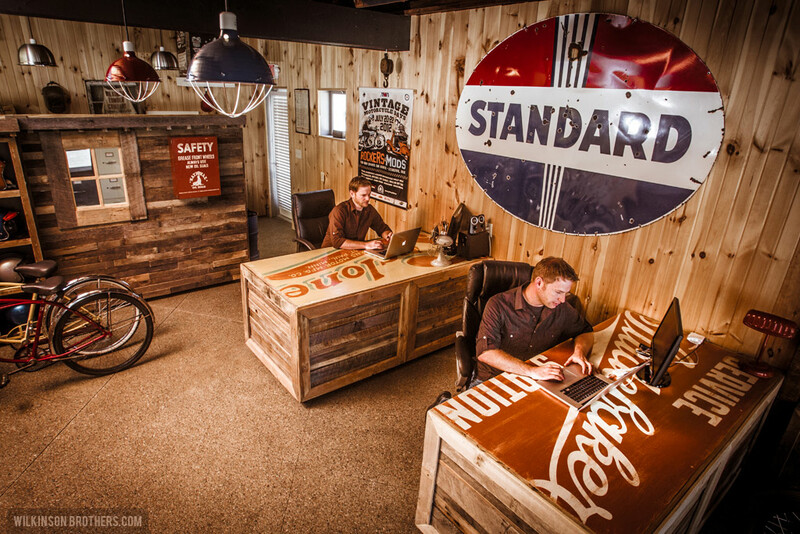 We made these desks using dismantled shipping pallets, then painted the tops like old signs. 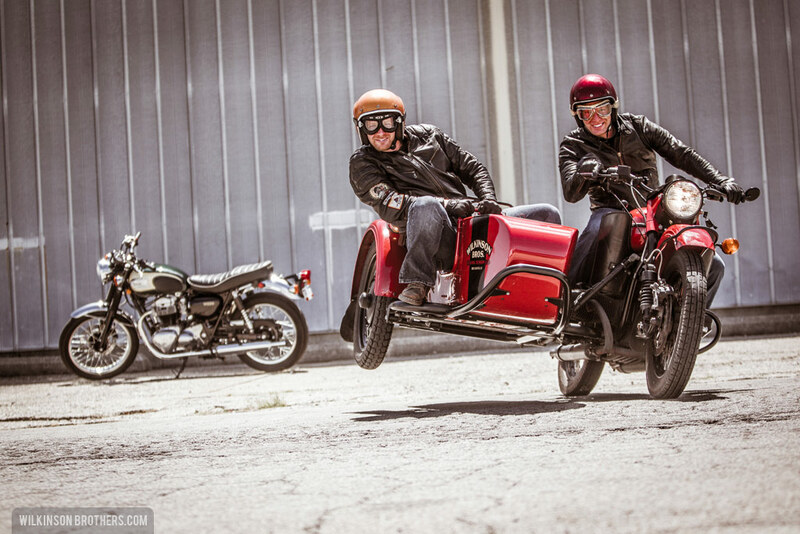 The shop bike is a 2010 Ural sidecar motorcycle. 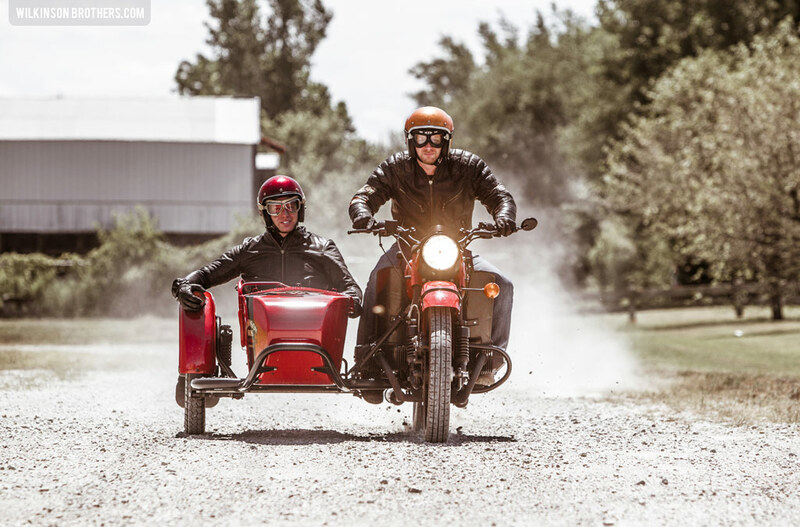 The Wilkinson Brothers “flying the chair” on their Ural Red October sidecar motorcycle. 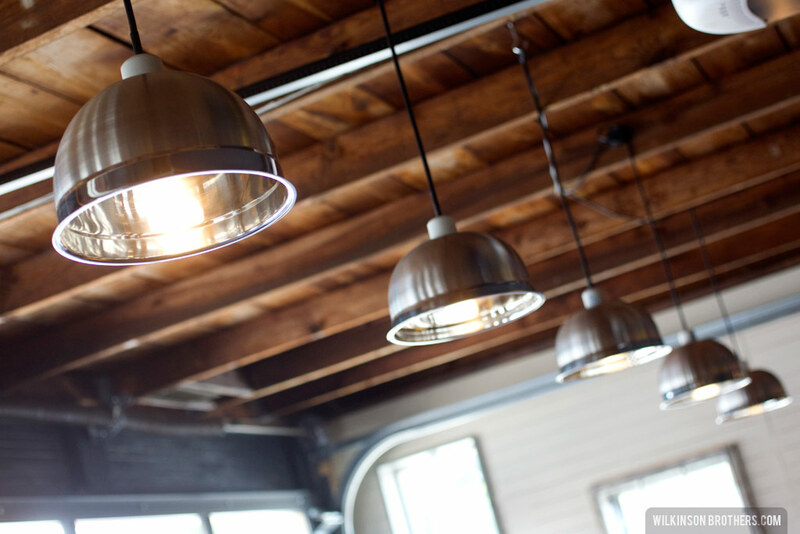 Casey made these lights out of stainless steel mixing bowls. 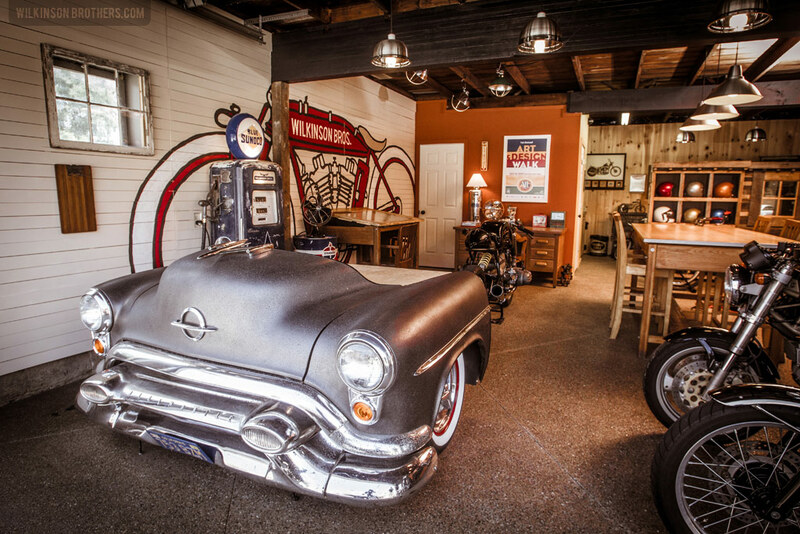 A Wilkinson Bros’ creation: This desk was made out of a salvaged 1953 Oldsmobile. 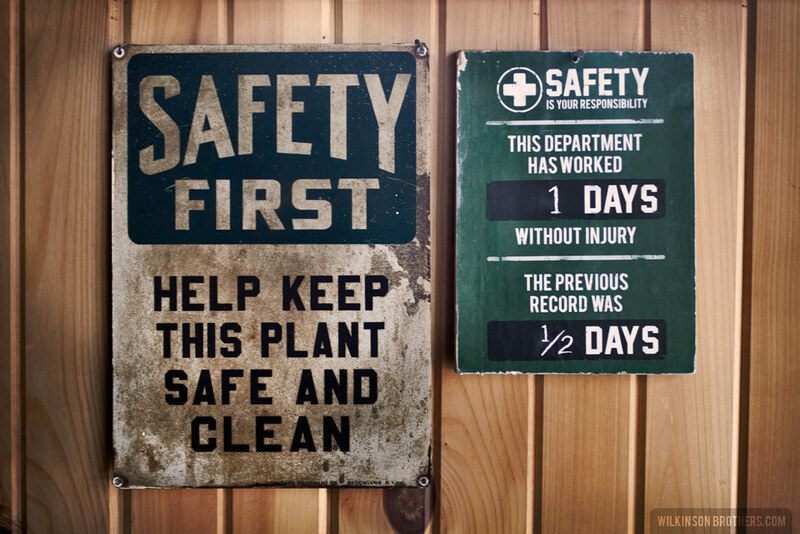 > See more pics and read the story behind our Oldsmodesk here. 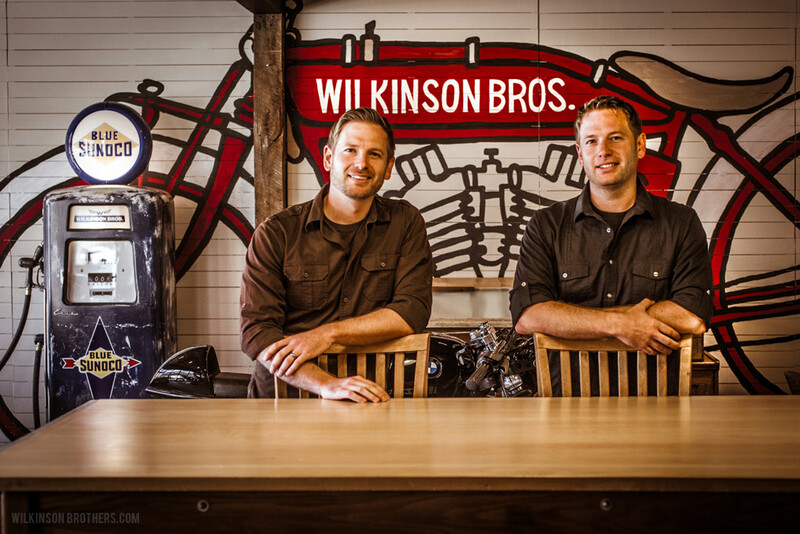 The Wilkinson Bros graphic design shop was once a carriage house, built in the mid 1800s. 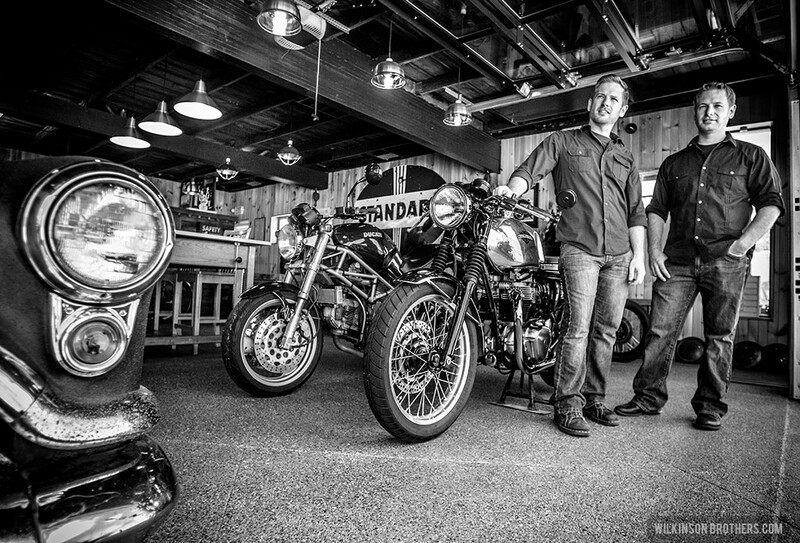 Corey Wilkinson (left) and Casey Wilkinson stand in front of their motorcycle mural. 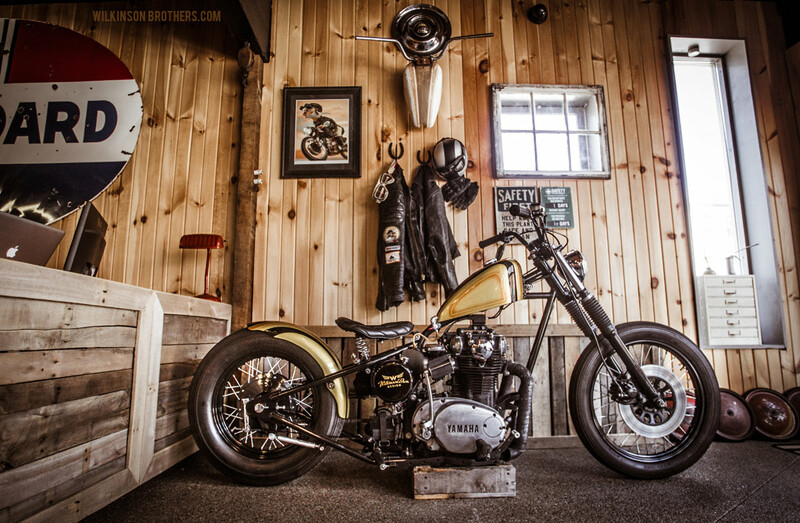 The Wilkinson Bros chopper built by Ardcore Choppers. It’s powered by a 1978 Yamaha. 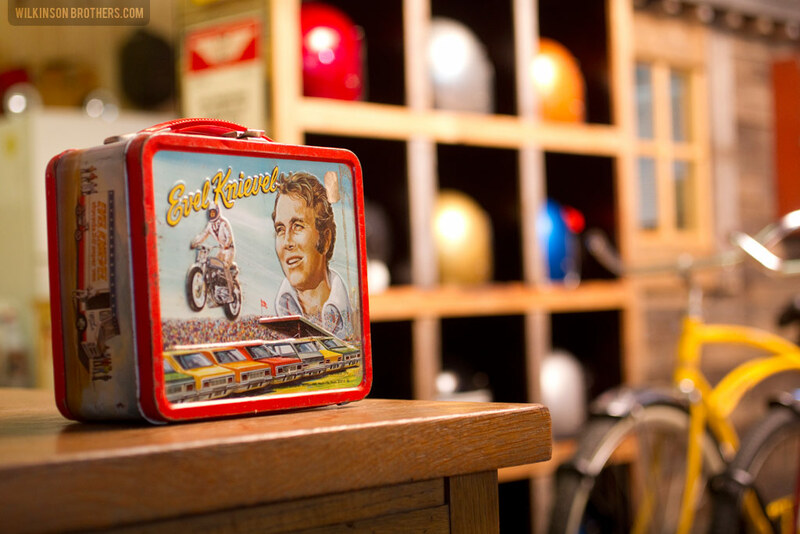 A pair of vintage Schwinns stand ready for errands or a bank run. 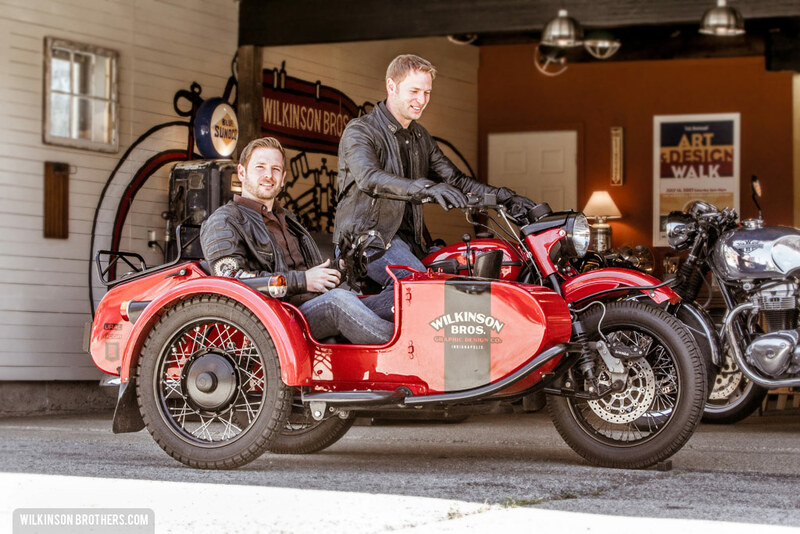 The Wilkinson Brothers riding their Ural sidecar motorcycle. 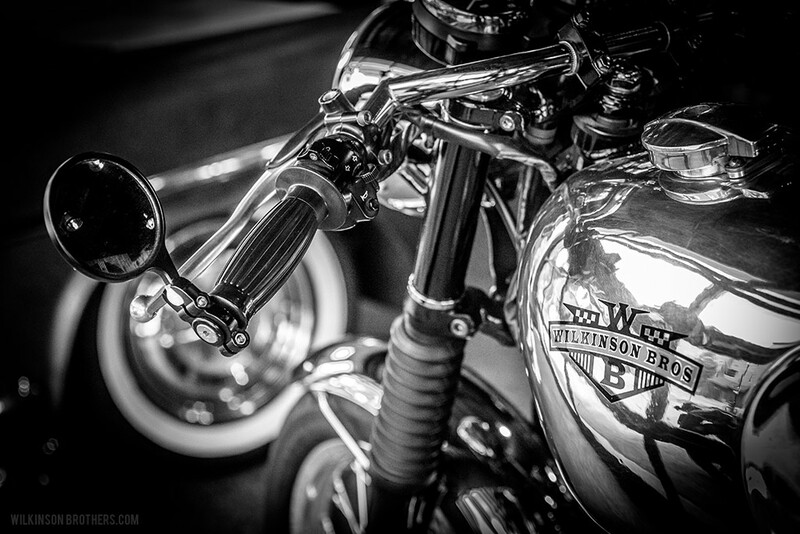 A shot of the polished aluminum gas tank on Corey’s custom cafe racer motorcycle (Kawasaki W650). The “Oldsmodesk”, a custom workstation made by Corey, Casey and Jeremiah; we found the old car in a junkyard. 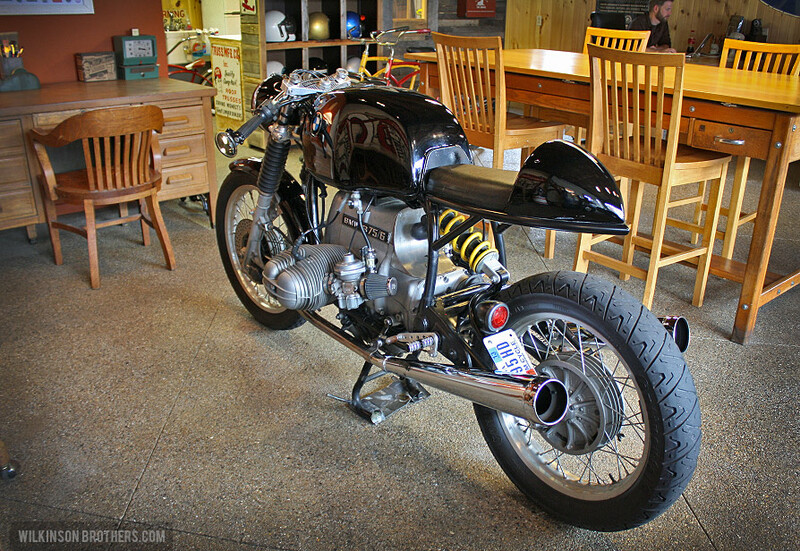 Casey’s custom, one-of-a-kind cafe racer that started out as a stock 1976 BMW R75/6. 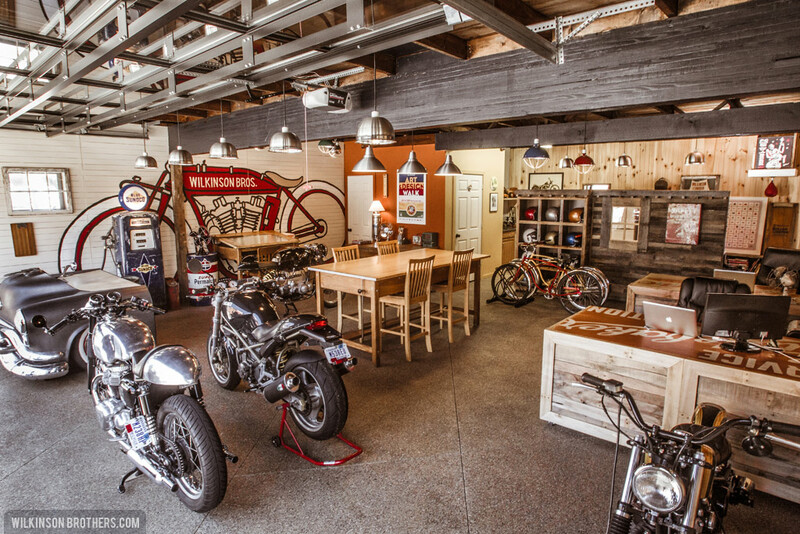 The brothers standing in the ‘garage’, their graphic design and illustration shop in Carmel, Indiana just north of Indianapolis. 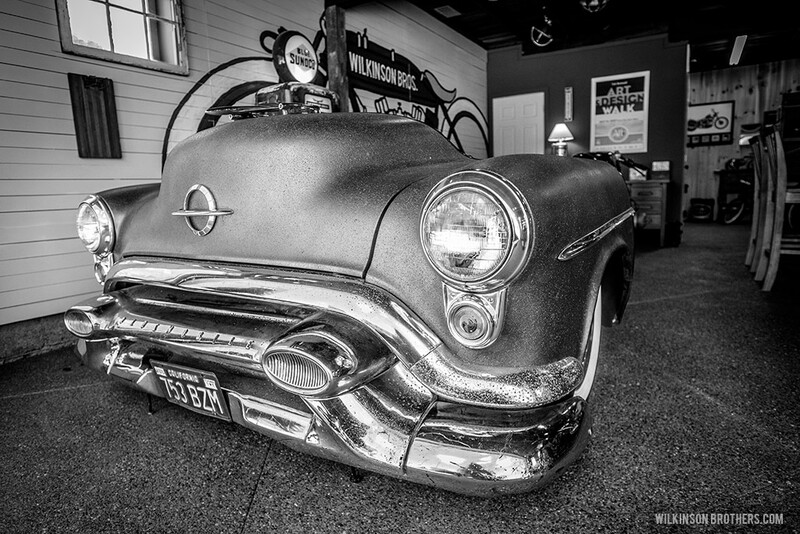 Killer pics by Red Rocket Photo.